While other aging rap stars willingly remain in a state of stunted growth, Nas bravely moves into the next phase of his career. That transition, in all of its complexity, is the subject of his tenth solo album, Life Is Good. It shows him trying to find a functional compromise between the artist he is and the artist he must become. The resulting struggle makes for the most compelling collection of Nas songs in quite some time. The ironically titled “No Introduction” serves as a grandiose prologue for the epic that is about unfold. The J.U.S.T.I.C.E League retools a sample from Kirk Franklin’s “Don’t Cry.” Feather light piano keys trickle down during the intro and immediately swell to accommodate the drums and church organs that burst in at the 30 second mark. Nas juxtaposes vivid childhood memories with the accomplishments of adulthood, providing a detailed contrast between what was and what is. The aptly titled “Loco-Motive” is a recursive metaphor. The sound effects suggest a ride on a subway train. The lyrics suggest the thoughts that race through the mind of the author, who is a passenger. Adjacent trains barrel through the underground tunnels of New York City, feeding the author’s thought processes as he approaches his final destination. The production by No I.D. allows the metaphor to break the “fourth wall” and imprint itself on the listener. The plodding drums and driving bass line send blood traveling through the vascular system. “A Queens Story” performs an exhausting round of triple duty, acting simultaneously as an intricate travelogue, a detailed history lesson, and a heartfelt tribute. Fallen soldiers are eulogized while survivors are toasted. Swarming violins and thumping tribal drums whisk the listener along, gradually gaining in intensity as the song progresses. A feint bass line emerges at the 1:40 mark, giving the orchestral composition a hint of Blaxploitation cool. The horns gradually take on a regal quality. The song ends with Nas rhyming over Frédéric Chopin’s piano solo “Étude Op. 10, No. 12 (Chopin).” As a whole, it’s nothing less than epic. Nas teams up with Rick Ross for the adequately melodramatic “Accident Murderer.” No I.D. resurrects the gospel elements of the album opener, making them more prominent and robust. The organs are amplified for optimum effect. On the first verse, Nas chastises sloppy gunmen who accidently kill innocent bystanders, only to later claim those unintended victims among their many conquests. The choral singing shames them as well. By contrast, Ross’s verse feels somewhat random. “Daughters” is a confessional where Nas lays bare his shortcomings as a parent. The heavenly synths of “Dust to Dust” by Cloud One are combined with the stomp and clap of “Na Na Hey Hey Kiss Him Goodbye” by Steam. The combination evokes a sincere emotional response despite feeling just a bit overwrought. “World’s An Addiction” portrays the hood, and by extension the entire world, as a mine field of temptation and vice. The sample of "Something's Missing" by The Five Stairsteps emanates an appropriately foreboding vibe which is enhanced by Anthony Hamilton’s hook. On “Way Back When,” No I.D. flips a portion of Barrie Moore Combo’s haunting “Double Agent Jones,” turning it into something a bit more whimsical. The song starts as a loving tribute to the early days of Queensbridge Hip-Hop complete with a sample of MC Shan’s opening lines from “The Bridge.” It slowly morphs into a testament to the perseverance of Nas himself. “The Don” feels like a Sunday night at the Tunnel during the late 1990’s. A vocal sample from Supercat’s “Live Inna New York” adds the requisite touch of dancehall flavor. “Stay” offers two stories that thoroughly explore the meaning of the songs title. No I.D. lifts a handful of affecting blue notes from "Seven Steps to Nowhere" by L.A. Carnival. Misty horns put the listener in reflective yet somewhat somber mood. The Jazzy stroll of “Cherry Wine” is accompanied by the vocals of the late, great Amy Whinehouse. Nas dreams of the perfect woman, but his desires go much deeper than physical gratification. He also seems to exhibit a sense of hope and even elation. It’s the rare moment on the album where his tone reflects the sentiment expressed by its title. “Bye Baby” is an open correspondence with Kelis, similar in execution to “Daughters,” yet even more revealing. It reworks five breezy keystrokes from Guy’s “Goodbye Love,” ending the album on a note of peace and finality. Producers No I.D. and Salaam Remi emerge as the chief architects of the album from a musical standpoint. Both have notably different approaches that become more evident with each successive track. The latter has developed a taste for classical compositions, as evidenced by “A Queens Story.” Instead of trapping the desired elements in a repeated loop, he allows them to play out to completion. Meanwhile, No I.D. opts for the haunting melodies of Jazz and classic soul. The differing approaches complement each other nicely, facilitating both thematic cohesion and emotional resonance. Nas is has never been the most charismatic or colorful rap star. Nor does he possess a towering vocal presence. What he does have is a strong command of the English language. He uses words to paint pictures, provoke thought, and convey emotion. Life Is Good shows his tools to be as sharp as they ever were. Good review. Wished you would've reviewed the deluxe version, though. The four extra tracks are worth reviewing, since the are all 5/5 in my opinion. Good review. LIG is agreat album to someone with an open mind. 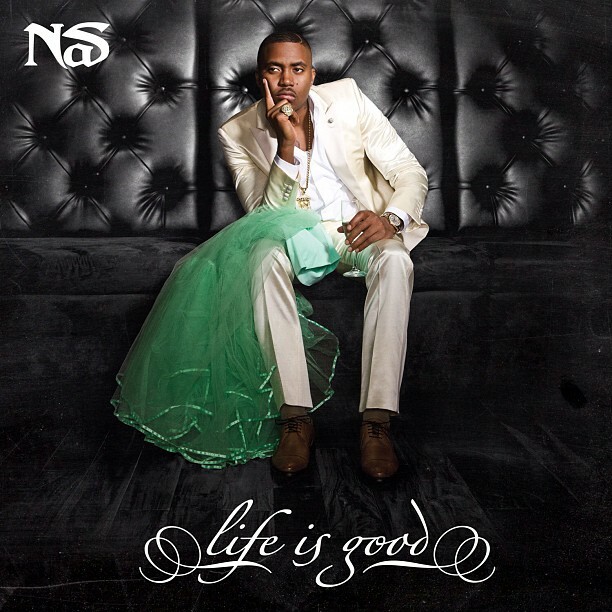 To me as a fan its an answer to wat Nas has been upto the past 5years and the journey of his career. Life is good is in comparable to other Nas's albums as they are different players on the field for me.